Ethiopian Airlines' chief executive has said the pilots who flew the plane that crashed on March 10 had trained on "all appropriate simulators", rejecting reports that they had not been adequately prepared to handle the new aircraft. 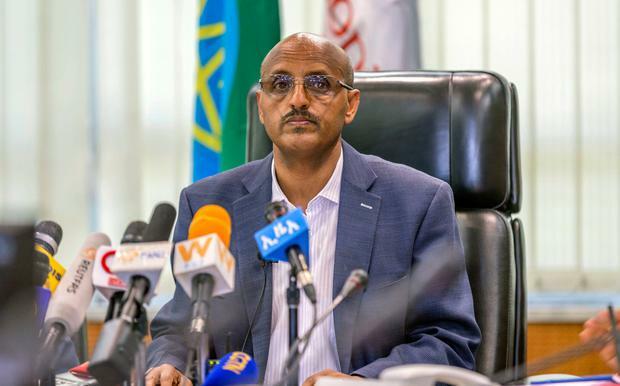 Tewolde Gebremariam said in a statement that the airline owns simulators to help pilots train on the Boeing 737 Max, which has software installed that requires new training. The software can pitch the plane's nose down in some cases to keep it from stalling. After the Lion Air crash off the coast of Indonesia, the US Federal Aviation Administration and Boeing issued new training material for pilots. Questions lingered, however, whether the required training was sufficient and whether airlines like Ethiopian had access to simulators to give pilots thorough experience handling the software. Mr Gebremariam said Ethiopian Airlines owns and operates a Boeing 737 Max simulator. "Contrary to some media reports, our pilots who fly the new model were trained on all appropriate simulators," Mr Gebremariam said. "The crews were well trained on this aircraft." The chief executive had said he thinks the warnings and extra training material from Boeing and US regulators "might not have been enough". It had been using five of the Max planes and was awaiting delivery of 25 more. As part of the update, Boeing said it is tweaking the anti-stall software. After the update, the system will rely on data from more than one sensor before it automatically pushes the plane's nose lower. The system will not repeatedly push the nose down, and it will reduce the magnitude of the change.